The famous Nefertiti bust was found in 1912 and taken to Germany in 1920. It is now on display in Berlin. Various governments of Egypt have been asking for its return since 1924, but Germany has always declined, for different reasons. Artists Jan Nikolai Nelles and Nora Al-Badri have made a high quality 3d scan of the head and released the data on the internet. However, their scan did not include the texture. 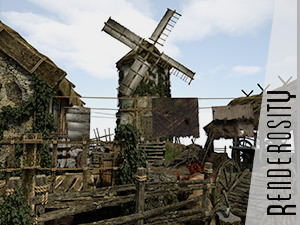 So I painted the texture with 3D Coat using various photo sources. 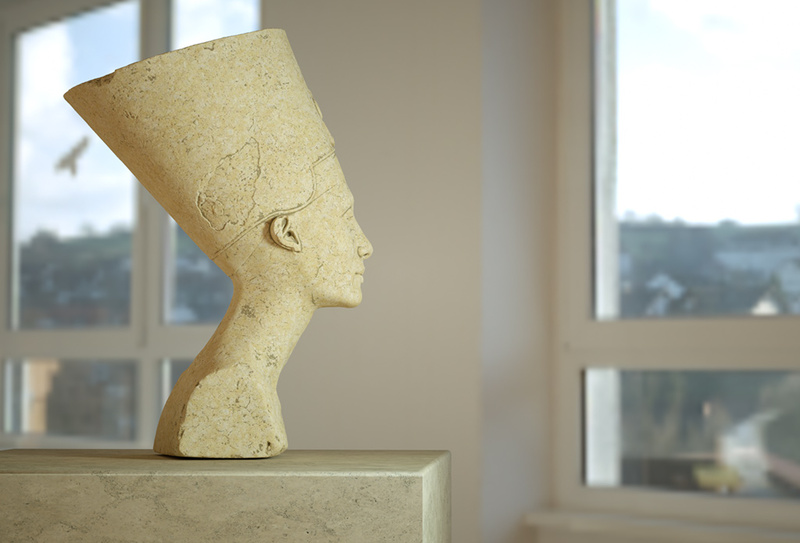 Here is a view of Nefertiti without painting. 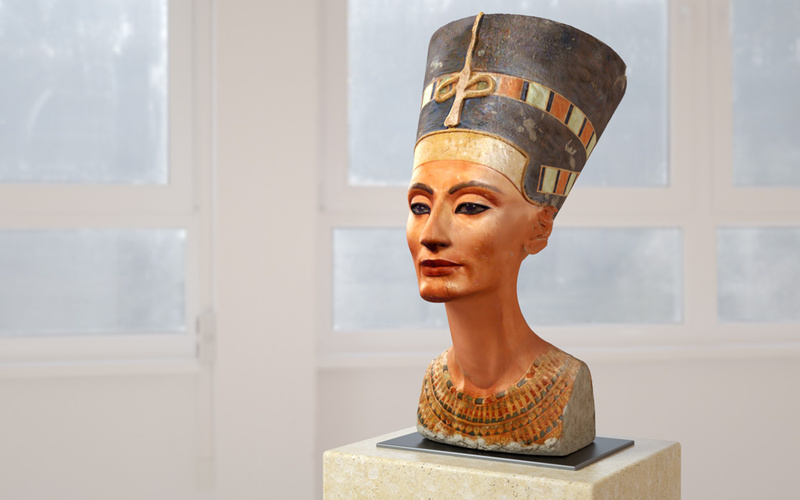 3D sca, available on the Nefertiti Hack website.